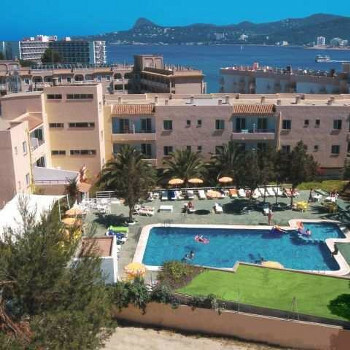 The Sol Bay apartments are a 2 star complex just 50 metres from Xinxo beach. If you would rather head into town there is entertainment and shopping in the nearby area. The Solbay apartments we found to be ideally situated on the main road at the top end of the bay. The apartments were spotless, maybe a little to basic for us but adequate.The Air Conditioning is fantastic and well needed. There is a small pool at the back with a number of sun loungers, there are a few palm tree's for shade, this was needed as the temperatures got quite high. There was only one thing that I ask people booking these apartments to be aware of and that is there is a bar underneath road side (Johnneys Bar)which goes on until the small hours or until the last person leaves, it has DJ's who sound as if they are auditioning for the big night clubs, very loud and goes on and on and on. I would stay at these again making sure I don't get a room over the bar.